Energy storm ride is a kind of thrill amusement ride that also belongs to the spinning rides. It has become more and more popular among amusement parks and other fairground carnivals since it has been designed several years ago. 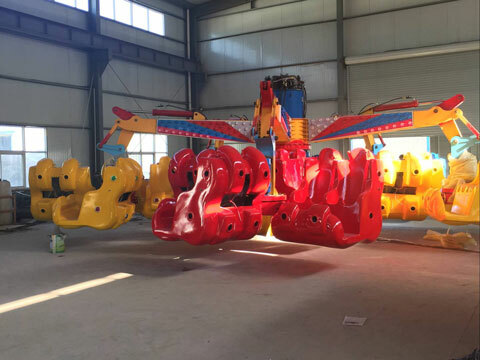 It belongs to the spectacular rides which is also made by high quality steel and fiberglass and usually equipped with high capacity. It is useful for parents to foster kids’ courage and confidence. 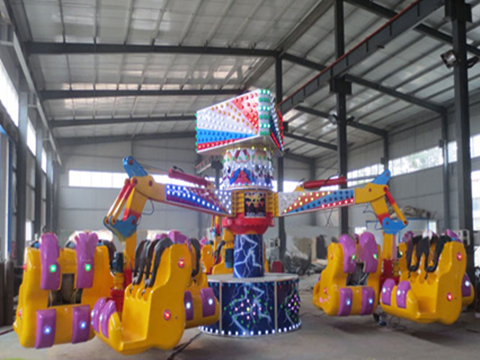 This amusement ride is made up of arms, support bottom, transmission system and the operation box. 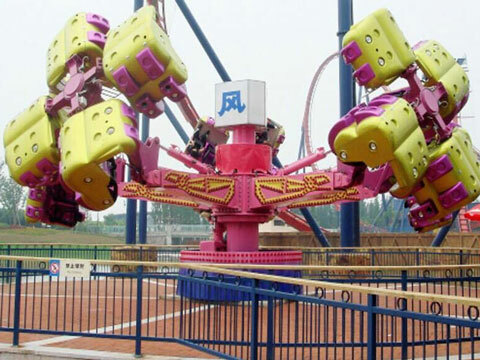 There are 3 kinds of energy storm ride in Beston Amusement, 3 arms with 12 cabins, 4 arms with 16 cabins, and 5 arms with 20 cabins, each cabin of this ride could contains 2 rider. So capacity of this thrill ride is 24, 32 and 40 riders. When the rides operates, the motor will drives the three strong arms rotating from different directions, that’s means the whole energy storm ride rotate itself, and at the same time, each of the cabin will rotate upside and down in an opposite direction. Its driving mode is disinfect and electric. This really create more thrill feelings to kids and the riders on this amusement park ride. During the operating process, riders could relax themselves freely without thinking any trouble thing. And when the energy claw ride was up to the high speed, all riders could see were the people sitting across from themselves with everything around the car as a huge blur. It is one of the most thrill ride for amusement parks. 360 degree rotary and self rotary. Can be added with LED lights. Quantity of arms could be customized. For energy storm ride, parts of the ride which is made of plastic and fiberglass should be soaking with suds and cleaning with some soft cloth, then soaking the clean water and cleaned by some clean cloth. At last amusement park owners could disinfect this ride to keep it safe for passengers.